Food is life. We depend on it for sustenance, for pleasure, for culture and wellbeing. And yet our modern lifestyles and industrialized food can sometimes make our Earth's most basic, soul-strengthening nutrients seem out of reach. 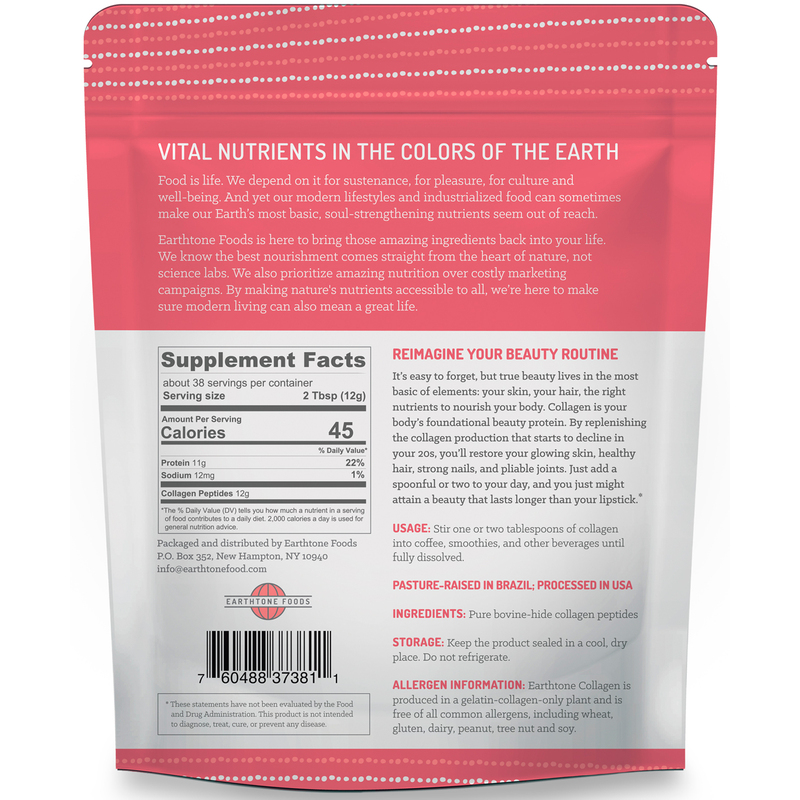 Earthtone foods is here to bring those amazing ingredients back into your life. We know the best nourishment comes straight from the heart of nature, not science labs. We also prioritize amazing nutrition over costly marketing campaigns. By making nature's nutrients accessible to all, we're here to make sure modern living can also mean a great life. Stir two tablespoons of collagen into a beverage or liquid until fully dissolved. 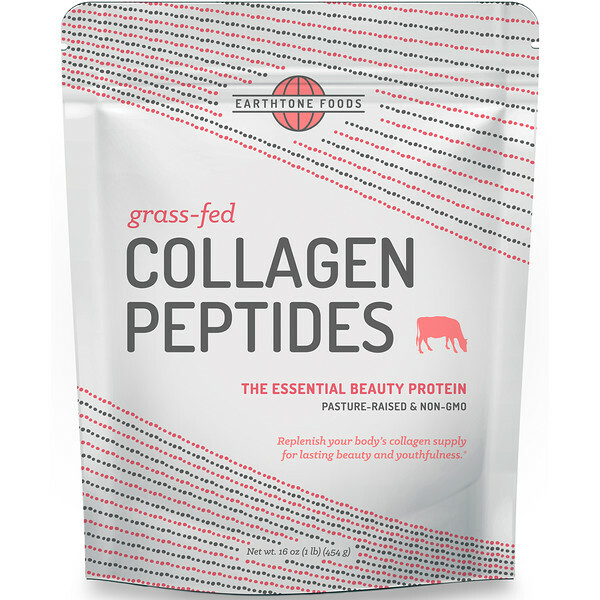 Allergen information: Earthtone collagen is produced in a gelatin-collagen-only plant and is free of all common allergens, including wheat, gluten, dairy, peanut, tree nut and soy. Storage: Keep the product sealed in a cool, dry place. Do not refrigerate.